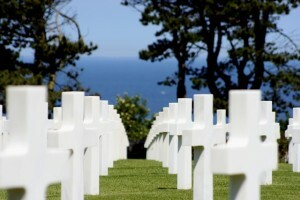 For any visitor to Normandy regardless of nationality- this is a place to see at least once. At the cemetery’s entrance there is the Visitor Centre, opened in 2007. The movies shown and testimonials given here provide the visitor with a very personal and moving experience. 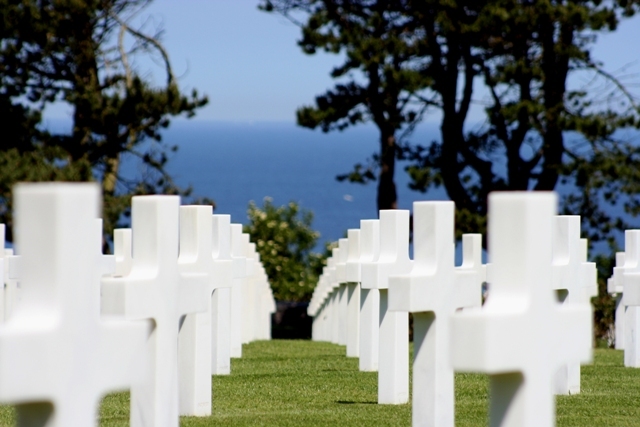 The Americans Cemetery overlooks Easy Red sector of Omaha Beach, and is today the final resting place of 9,386 men and women who died on service in Normandy during World War Two. Among these fallen soldiers are 3 Medal Of Honour recipents, 4 women, 34 sets of brothers and one father and son. The perfect layout of the cemetery and the remarkably well kept grounds well illustrate that the memory of all these servicemen and women are still honoured today.